The demonstration consisted of a peaceful march, which began in Shubra at around 4pm, and a silent protest outside the state television building. The demonstrators were protesting against the demolition of the Church of St. George, in the village of Al-Marinab in Edfu District, Aswan Governorate, as well as against the complicity of the Governor of Aswan and security forces in said demolition. The church, which had been carrying out religious services for eighty years, was destroyed on the pretext that it did not have a licence, an argument increasingly used by some extremist Muslim groups to justify attacks on churches. Rather than deterring such crimes by enforcing the law and punishing the instigators and perpetrators, the authorities have borrowed the methods of the ousted Mubarak regime. In an open violation of the law, security services persisted in holding 'traditional' reconciliation meetings in which victims were denied their rights and criminals escaped punishment. As such extremists came to realize that they would not be held accountable before the authorities. Events took a final twist at around 9pm when people in civilian clothes joined the army's assault on protesters. A large number of witnesses stated that these were Muslims from the areas of Bulaq Abul Ela and Ghamra. The army and police continued to fire tear gas and bullets late into the evening; the hit and run attacks also continued. The military police also arrested a number of people, who were then detained for 15 days pending investigation. The undersigned organizations are deeply skeptical of all of the investigations announced by SCAF since it took power. We also emphasize our disappointment at the lack of a speech by the Prime Minister, and at the press conference held by SCAF, during which they took least possible of responsibility for this heinous crime. 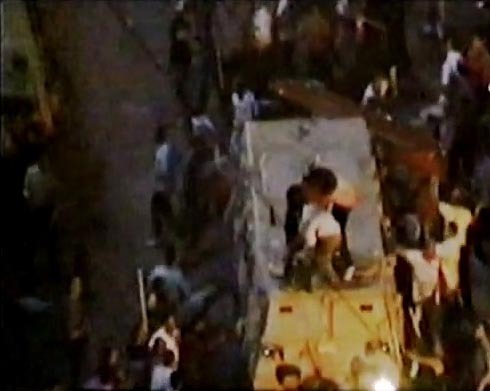 Both SCAF and the government were keen to describe the killings as clashes between Muslims and Christians, along with unidentified 'foreign elements'. Both ignored the involvement of the armed forces, whose direct responsibility for the killing of civilians was evidenced by eyewitnesses and television cameras. SCAF, rather than opening an investigation into the official media's coverage of the events, instead praised its neutrality. It ignored the media's culpability in calling on citizens to take to the streets and protect the army, which constituted direct incitement of sectarian clashes. 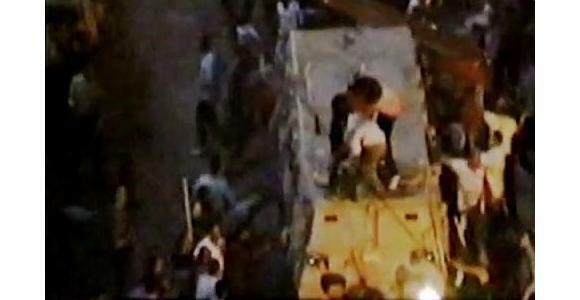 This confirms the unwillingness of both SCAF and the government to break with the policies of Mubarak's security regime, which exacerbated the problem of sectarianism and made religious minorities, along with their property and places of worship, into targets for various forms of attacks without fear of consequences. - An independent committee, including both the judiciary and civil society groups, with broad powers including the power to question members of the armed forces. The committee should examine the extra-judicial killings at Maspero on the night of October 9th 2011, and the groups wearing civilian clothes who participated in the clashes – a scene which is repeated every time tensions develop between demonstrators and the government. It should also include an investigation into the official media's incitement against Copts. The committee should announce its results at a press conference after a period of no more than three weeks, identifying the perpetrators and the necessary judicial proceedings, including judicial referrals of all those proved to have been involved – not excluding military officers, soldiers, and police. - SCAF and the government must shoulder their constitutional and legal responsibilities. These include ensuring due respect for the law by all citizens and groups, providing essential security to all, renouncing double standards, and strictly applying the law to perpetrators of sectarian violence and attacks on places of worship. 1. Egyptian Initiative for Personal Rights. 2. Cairo Institute for Human Rights Studies. 3. Egyptian Association for Community Participation Enhancement. 4. Arabic Network for Human Rights Information. 6. Egyptian Foundation for the Advancement of the Conditions of Childhood. 7. Association for Freedom of Thought and Expression. 8. Egyptian Centre for Economic and Social Rights. 9. Nadeem Centre for the Rehabilitation of Victims of Violence and Torture. 10. Andalus Institute for Tolerance and Anti-Violence Studies. 11. Habi Centre for Environmental Rights. 12. Hisham Mubarak Law Centre. 13. Egyptians Against Religious Discrimination. 15. Nazra for Feminist Studies. 16. United Group of Lawyers and Legal Advisers. 17. Organization of Coptic Solidarity. 18. Al-Helaly Inistitute for Freedoms. 19. Arab Penal Reform Organization. 20. Human Rights Association for the Assistance of Prisoners. 21. Land Center For Human Rights.